Success! 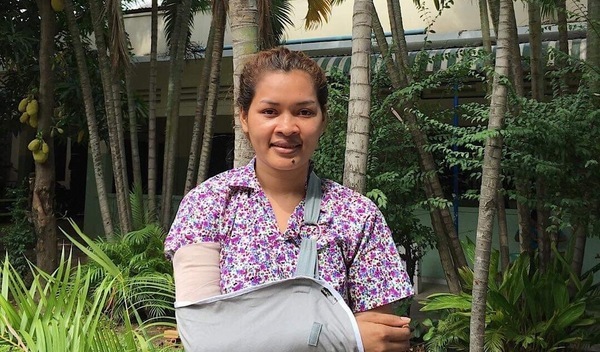 Sokkhoeun from Cambodia raised $390 to fund orthopedic surgery. Sokkhoeun's treatment was fully funded on January 7, 2019. Sokkhoeun’s surgery went well and she’s been working with the physiotherapy team to improve the mobility and function in her elbow. 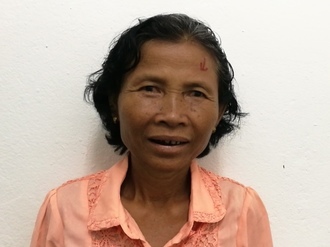 Surgery will allow Sokkhoeun to greatly improve her quality of life and allow her to work without pain. 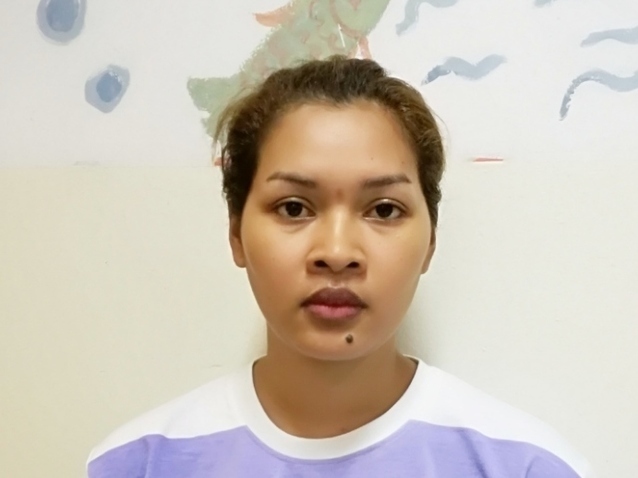 Sokkhoeun is a young woman from Cambodia. She has four brothers and two sisters. She likes to read books, watch TV, and go for walks in her free time. Six years ago, Sokkhoeun was climbing a tree and fell, which resulted in a fracture and dislocation of her right elbow. She has difficulty using her arm and is in chronic pain. She has difficulty working. Sokkhoeun needs to undergo an osteotomy procedure to heal her fracture and allow her to bend her elbow without pain. Her surgery is scheduled for November 12 and will cost $390. Sokkhoeun's case was submitted by Lindsay Bownik at Children's Surgical Centre in Cambodia. Sokkhoeun was submitted by Lindsay Bownik, Stakeholder Relations Officer at Children's Surgical Centre, our medical partner in Cambodia. Sokkhoeun received treatment at Kien Khleang National Rehabilitation Centre. Medical partners often provide care to patients accepted by Watsi before those patients are fully funded, operating under the guarantee that the cost of care will be paid for by donors. Sokkhoeun's profile was published to start raising funds. Sokkhoeun's treatment was successful. Read the update. Sokkhoeun's treatment was fully funded. Osteotomy is a surgical procedure used to correct bone abnormalities from trauma or disease. Without treatment, bone fractures or damage to growth plates may heal in angular, rotational, or shortened positions and result in deformity and loss of function. Arthritis is also a common indication for osteotomy, particularly if deformity is involved. Patients with arthritis suffer from pain and stiffness. Misalignment of the bones not only creates discomfort and pain, but it can also make day-to-day tasks difficult or sometimes impossible. Deformity is also highly stigmatizing. Due to lack of funds for speedy healthcare or inaccessibility, bone abnormalities are common due to delayed treatment. Cambodians often turn to Khmer traditional healers for bony deformities or even trauma and this also contributes to the development of deformities. Pre-operative assessment with radiology is required to plan the procedure for each case. The surgeon will decide the best location to cut a part of the bone so that it results in an even distribution of weight across the bone or joint. This usually involves cutting out a wedge-shaped piece of bone to realign and adjust the angle at which the bone is positioned. Following correction, rigid internal or external fixation is used to hold the bone in place while it heals. Deformity will be corrected, often months or years after its development and patients will immediately notice the benefits. Function will be restored, and pain should subside, which will enable patients to become mobile, undergo daily activities independently, and recommence work to support their families. Blood clots are the most common complication of osteotomy procedures, but this can be avoided if patients are encouraged to mobilize early. As for any other surgical procedures, there may be complications such as infection and damage to surrounding nerves or vessels. Treatment for bone-related injuries due to trauma or more chronic conditions such as arthritis is available at a local clinics and hospitals at a cost, which many patients may not be able to afford. Patients also often turn to traditional healers which result in unsuccessful treatment. Inadequate or delayed treatment can contribute to bone abnormalities and prolonged suffering. Patients travel as much as twelve hours to reach Children's Surgical Centre for free surgery, arriving by bus, motorbike, or taxi. Traditional medicine is available, but with unsuccessful results.